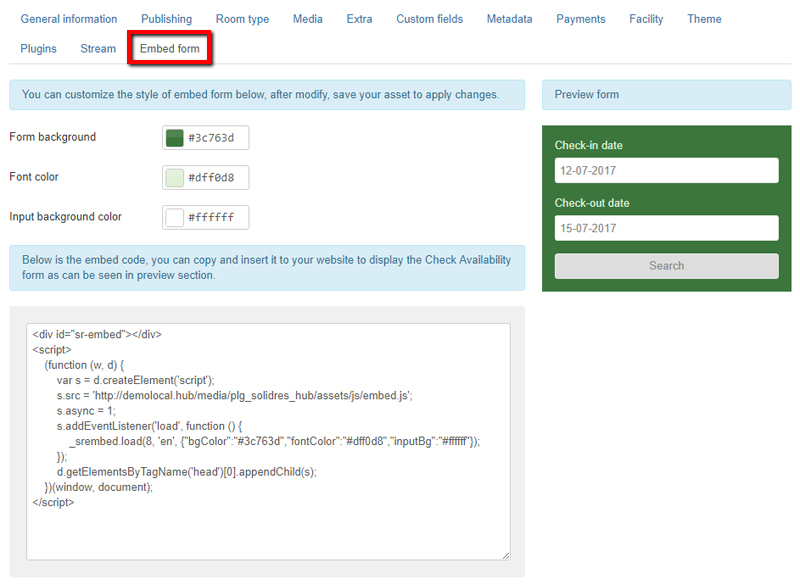 It is a new feature for Hub plugin: Embedded Check Availability form. Now Hub owner can allow partner to embed a check availability form into partner’s external sites, the embedded form will forward all booking request to Hub site and forwarded guests will complete reservation in Hub site instead of partner’s external site. This is not only a great way to increase traffic and revenue for Hub site but also a convenient way for partner to have an internet booking engine integrated in their site. Automatically calculate tax amount from the price: now it is possible for owner to enter price included tax and then assign a tax rate to assets, then in front end Solidres will automatically calculate and display price and tax amount separately. Add new module Surroundings which shows nearby assets during Hub search. Admin can configure the nearby range in kilometers in Solidres Config – Hub. 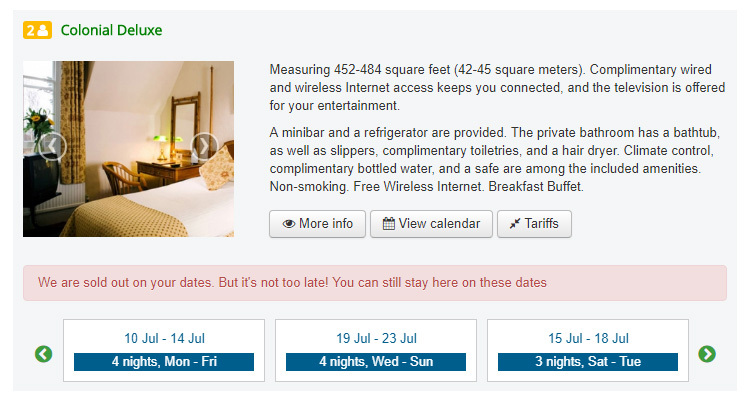 This new plugin automatically suggest alternative available dates for your guest if their searched dates are unavailable, it provides significant improvements for both owners and guests: owners have a greater opportunity to retain guests instead of losing them while guests can choose another dates to stay at their favorite accommodations instead of having to spend their valuable time to find another one.